According to the best IVF doctors in India, men who consume fruit and vegetables with abundant traces of pesticides have 49% less sperm and, in addition, 32% less sperm without abnormalities. Food items containing a lot of pesticide residues are associated with a drop in sperm quality. Men who want to optimize the quality of their sperm should continue to practice a healthy and organic lifestyle. Studies have shown that the antioxidant effect of vegetables can help to repair the damage done to ovules and sperm by other contaminating agents. The best IVF clinic in Delhi strongly advises to wash the fruits, vegetables, pulses etc. in order to get rid of the pesticide residues on the surface. Moreover, it has been found out that the most effective cleaning method, by far, is to wash the product with a mixture of tap water and baking soda. Fruits and vegetables are one of the main elements of a healthy diet. But everything depends on the quality of these fruits and vegetables. 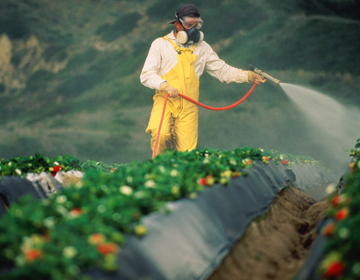 If they are loaded with pesticides then they will definitely have undesirable health effects. The ingestion of pesticide residues by food can affect spermatogenesis, i.e. the manufacture of spermatozoa. If you love eating fruits and vegetables and regularly have apples, strawberries, pears or even spinach then you could potentially be subjected to infertility problems since they come in with a high pesticide content. Certain pesticides upset the human endocrine framework, which is our system of organs and hormones that direct different real capacities. Some of these chemicals could adversely affect our regenerative capacity. And as such, it becomes a very crucial factor to understand the severity of pesticides food and avoid them completely. The indirect consumption of these pesticides affects both the sperm quantity and the quality, which in turn affects the fertility of the man. In fact, it is the spermatozoon which fertilizes the ovum, and the more spermatozoa there are in the sperm of a man, the more likely it is to conceive. On the contrary, the fewer spermatozoa that attempt to fertilize the egg, the lower the chances of pregnancy. For any doubts and queries regarding your fertility concerns, visit Gaudium IVF Centre, the best providers of male and female infertility treatment in Delhi.